Nigeria Air Force (NAF) Partners / Signs Memorandum of Understanding (MoU) with 14 Universities and Five research Institutes on Capacity Building and Other Mutual Collaboration. 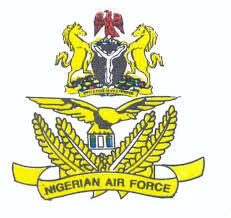 The Nigeria Air Force (NAF) has restated its commitment to joint researches with universities and research institutes in Nigeria to boost its tactical operations. NAF had signed a Memorandum of Understanding (MoU) with 14 universities and five research institutes in the country in 2013 on capacity building and other mutual collaboration. A delegation from the force headquarters, Abuja, led by the Chief of Standard and Evaluation, Air Vice Marshall (AVM) John Kwasu Baba visited the University of Lagos (UNILAG), Akoka and Covenant University (CU), Ota. At UNILAG, AVM Baba noted that the Air Force would explore general areas and some specifics in research and technology where specific challenges were identified and needed. He said the research collaboration would cover areas such as Electronics and Artificial Intelligence, Aircraft and Aerospace Technology, Armament Development, Aircraft Communication, Robotics, Remote Sensing Imaging, Unmanned Vehicles Technology, Interconnected Machinery Material Science and Cryptography. The UNILAG Vice-Chancellor, Prof. Oluwatoyin Ogundipe, who received the delegation expressed his pleasure at the force collaborative initiative with the institution. While assuring the force of the university's full support, Professor Ogundipe noted that the institution's Research and Innovation Office has the capacities. resources and manpower required to commence research work on the list areas. He said the collaboration would serve as a challenge for both the institution's academic and students to make new discoveries in diverse and key research areas. The Vice Chancellor of Covenant University, Prof. Aaron Atayero, while receiving the delegation, commended the force for their zeal and tenacity to take the relationship in research and development to the next level. Professor Atayero, who noted the university's competency in technology and computer science expressed its readiness to collaborate with the force on research for development in order to mitigate security challenges of the country. The force delegation toured facilities and ongoing research projects in the faculties of engineering of the universities. They also met with the research teams of the universitis respectively to map out the working procedures for the research collaboration.